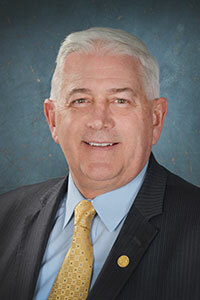 State Senator Ken Horn, R-Frankenmuth. Immediately following the address, which is scheduled to begin Tuesday, Jan. 19 at 7 p.m.
Horn will be available following the State of the State address for comments on state issues mentioned by the governor in the address. Please call Horn’s office at 517-373-1760 or Melanie Ellison at 989-992-5380 prior to 5 p.m. on Jan. 19 to schedule an interview with the senator. Video will be available for broadcast from the senator’s website at www.SenatorKenHorn.com. Click on Video under the Media Center tab.